Most of the blooms are fading away now, but there a few left hanging around. I couldn’t resist at least ONE more tree photo before spring slips away. 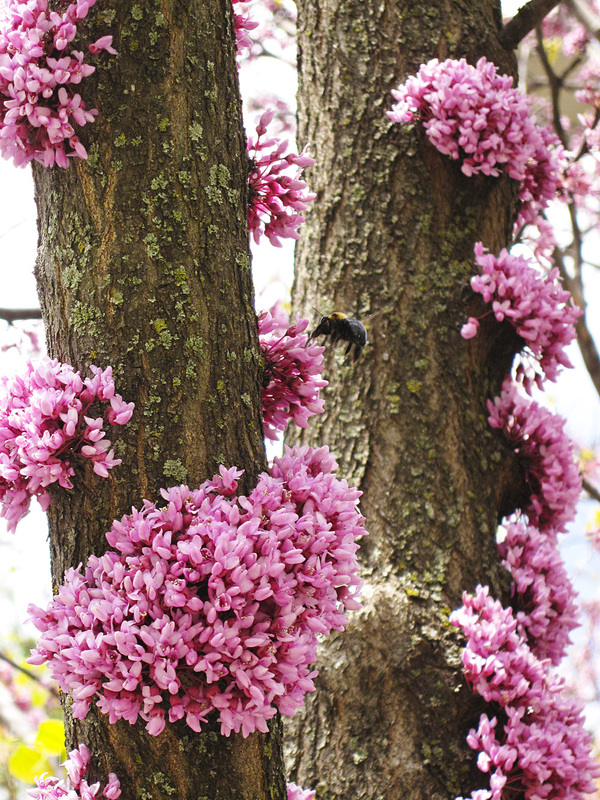 Here are some funny little redbud clumps on a trunk that attracted a bumble bee. Cool Pic! I love redbuds, I missed seeing them bloom, not many around here! Cool Pic! I missed the redbuds blooming this year!